Protect your family with low-cost and free vaccinations today. We can provide forms for everything you need to become a food service worker to opening a tattoo parlor. Discover if your family is prepared. 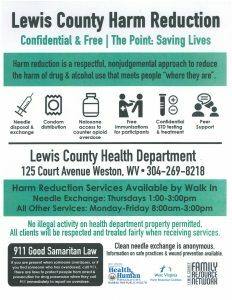 The mission of the Lewis County Health Department is to prevent, protect and promote the public health needs of our community. We offer online Food Handler’s Cards. Test are still available at the Health Department, Monday- Friday from 8 a.m. – 3 p.m. There is an additional fee of $10.00 for a State Wide Food Handler’s Card.